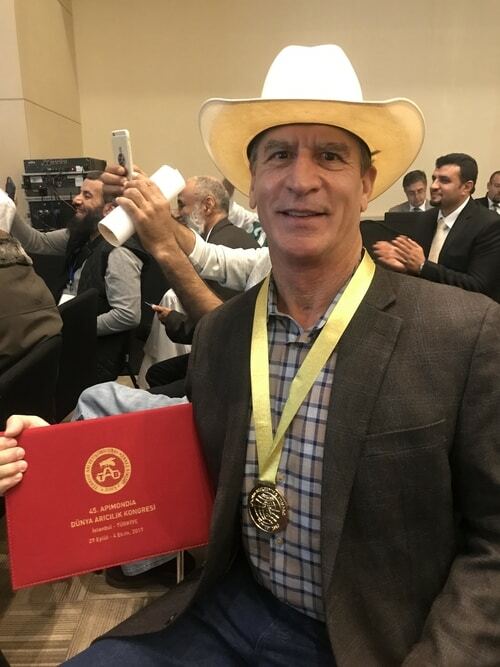 Treasure State Honey is a honey producer based in Montana, U.S.A. We produce, jar, and sell only honey our bees produce. We are not a packer who buys honey on the open market and then puts it into jars for resale. 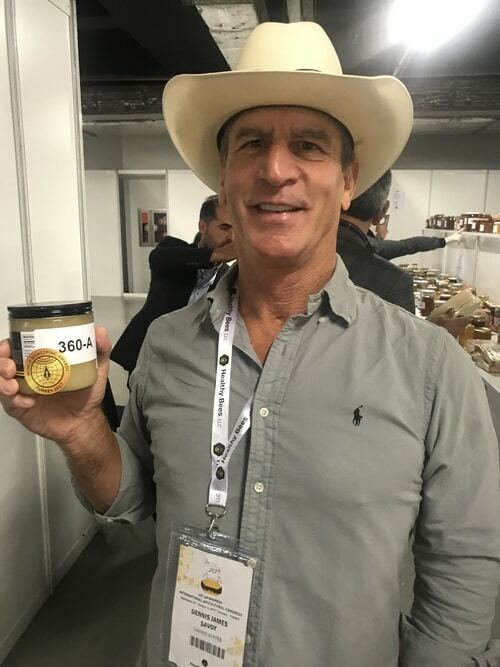 Taking our honey from the hive to the jar gives us complete control over quality and makes it possible for us to ensure our customers receive a truly raw, unfiltered, pure honey. 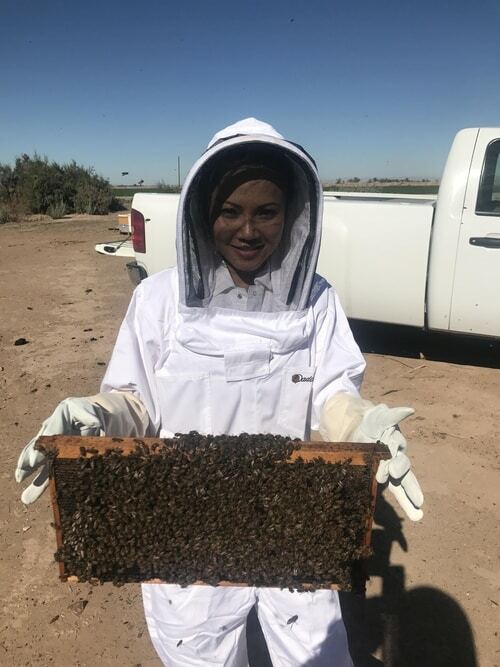 Our honey is never heated above hive temperature therefore it is designated as raw. 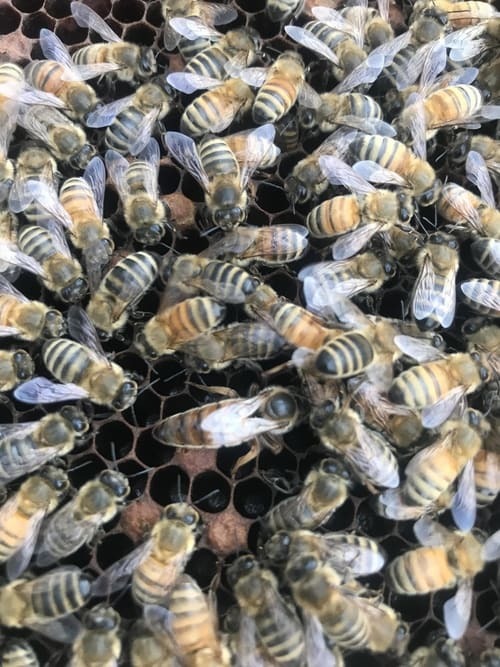 The floral sources for our honey are the sweet clovers, alfalfa, and wildflowers that grow in central Montana’s prairies and foothills. 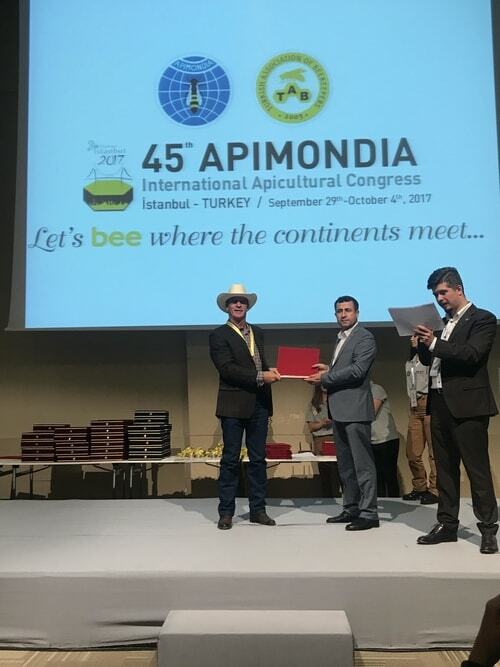 Our honey took home a gold medal among hundreds of entries from around the world at the 2017 Apimondia Beekeeping Conference! Because our honey is completely raw and all natural, it will eventually harden or “crystallize”. This is normal and many people prefer the spreadable texture of crystallized honey. However, it is easy to return your honey to its liquid state! Simply place the jar in warm (about 100 degrees F) water and stir the honey as it warms. You may want to increase the heat slowly if it does not melt. If you want to use a microwave, heat the honey for a few seconds at a time and stir frequently. Honey does not spoil, but it may age and darken over time. To delay this process, store your honey at room temperature and away from direct sunlight. We are in the process of constructing a 20,000 plus square foot facility to keep up with the demand for our products. 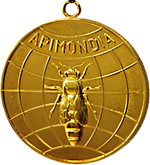 Treasure State Honey took home the gold medal in granulated honey in the year 2017 at Apimondia!